Omega Painting and Home Improvement is an excellent company. I have used them several times at two of my homes for interior and exterior painting, as well as, repairs of damaged wallboard, woodwork and siding. By far, they have done the best work, in the least amount of time, with the least amount of disruption to my family and me. Besides doing great work, Delton and his crew have always been very prompt, professional, trustworthy and extremely neat. The added bonus, is the fact that their rates are very reasonable. I highly recommend Omega and will definitely hire them for future projects. I have worked with Delton and his crew for over 5 years and have nothing but fantastic things to say! Delton is professional, reliable and always goes the extra mile to make sure everything is perfect. He spends a lot of time prepping the walls and will fill holes and repair woodwork - does all this extra stuff to make sure the job is going to be just right. I also love how neat he is - he always covers the furniture and makes sure nothing spills etc. And then when the job is done everything is put back exactly where it was. Delton is a great communicator, and he and his team are always on time and work fast and efficiently, but they NEVER cut corners. My interior designer was so impressed with Delton's work that she had him come paint her office before an interview she had with the Globe. My husband and I work full time, and it is so nice to work with someone like Delton that you can trust and count on. He will pick up the paint we need and just gets the job done. And I know that everything at home will be set - including making sure our three mischievous beagles aren't covered in paint at the end of the day :) I highly recommend Delton. 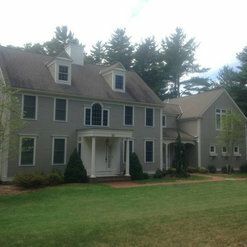 Delton and his team have now painted the entire interior and exterior of our home. They did such a great job that we rehired them to do more work. Delton is a perfectionist which results in a job well done. His team members were professional, polite and respectful of our property. They were prompt and worked hard all day long. I highly recommend Omega Painting and Home Improvement. We appreciate customers like you and Theo Lorraine! Thank you! 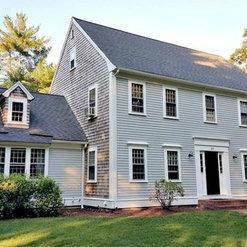 Delton did a great job at our home in Hingham. Very reliable, reasonable, talented, knowledgeable and on time. He took care of some painting, fixed substantial rotting and roof work. His quality of work is amazing. 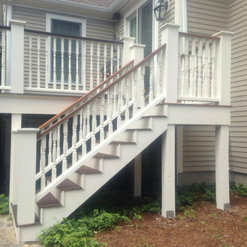 He also did a neighbors deck and she was thrilled with his work. I would highly recommend Omega Painting and Home Improvement to anyone. Thank you Kim, we are glad we could be of assistance! Recently I used Omega to paint the entire downstairs of my condo. Delton and his men came on time every morning, worked efficiently, were respectful of my belongings, and completed the job when they said they would. They Gently moved furniture and covered ecerthing that could not be moved. They went above and bejond to return everything to its proper place by taking photos before painting began. Delton actually helped me out with a few repairs needed in my bathroom, and still finished on time. After their awesome paint job inside, I have hired them to paint the outside of my home. You won't be sorry hiring Delton and Omega. 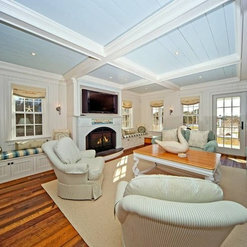 We have used Omega Painting for over 7 years on many projects at both our home and business. 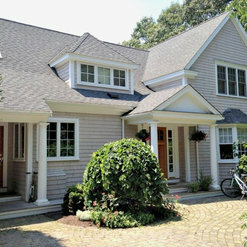 They have completed both interior and exterior painting projects, siding and more. 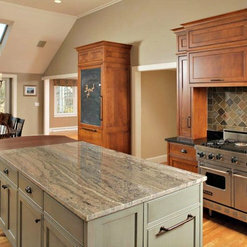 The quality of their work is excellent, and we trust them completely in our home and business. Thank you Ben, we are thankful for customers like you. We are always trying to do the best to accommodate every need. Omega Painting has been our first choice for our home. The team is payes attention to detail, does an outstanding job with prep, is efficient, neat and friendly! Odeylton has developed an outstanding business that is competitive and committed to quality. Thank you Holly, it is always a pleasure working with you! 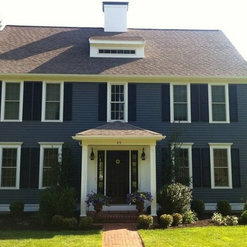 My wife and I were really pleased with the work done by Delton and Omega Painting. We asked them to paint the exterior of our house. They were quick, polite and did a super job. 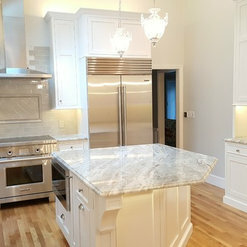 From the prep work to repairs to the finishing touches, they exceeded my expectations. If you are looking for a first-rate company for repair and paint projects, I highly recommend Omega. Thank you Jeff, it has been a great pleasure meeting such a wonderful couple as you. We had a great time working with you on this project. We have been in business for over 30 years and during that time have had the pleasure of working with few companies that equal the quality, economy and integrity of Omega. Delton is a complete professional and he has aggregated a core of craftsmen that are second to none. They are all gentleman and each meticulous. We recommend that you DON'T hire them. We want them all for ourselves. 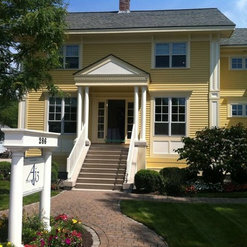 Omega Home Improvement provided prep, painting and light carpentry services at my home on the South Shore. My family and I had an excellent experience working with Delton and his entire team. 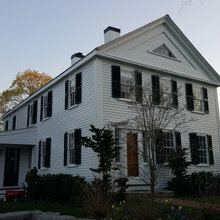 The results of their efforts were very good and our house and yard were left in fantastic condition upon completion of a nearly two week long job. The price for services provided was fair and the bid process and change order protocol were completely transparent - we took plenty of time upfront to make sure that the work we expected matched the bid and along the way we communicated in an extremely professional manner. We had several vendors bid on the job prior to choosing Delton and his crew. Omega's price was near the upper middle of the bids HOWEVER they provided solid references, insurance and were a far more polished outfit than the competition. It was evident that they have years of experience when you compared them to other contractors - we picked up on that right away. Our home had not been treated well by the previous original owner (deferred maintenance, rotted wood trim and some problem shingle areas) and the exterior color was very dark and had a terrible sheen to it - my wife selected a lighter grey body color and trim color so she and I were nervous at the outset that, if not tackled properly, the end result may be less than desired. In the end everything is great - the team really nailed it; we couldn't be happier with how our home looks now. I recommend Omega with great confidence to folks who want solid results, a skilled and trustworthy team and courteous day to day interaction - these men worked hard and long hours and never were they gruff or standoffish. Their prep work was the key to the result we enjoy - our home is much better now then when they found it. Our experience is that Omega Home Improvement is a solid company with an attentive owner that is in contact or onsite driving results. The paint job was great and their carpentry skills made a big difference in making our home repairs and paint job a success. We had a great experience with Omega and knowing Delton and his team, you will too. 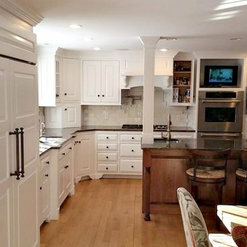 We've used Omega Home Improvement for numerous projects and have always been thrilled with the work they do. I think the owner Delton and his crew have painted virtually every room in our house at some point over the ten years we've lived here. 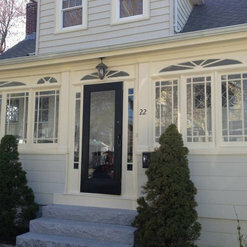 In addition, they replaced rotting trim and painted our entire exterior. 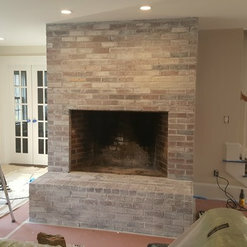 Delton is one of my favorite contractors with which I work and I would highly recommend him to anyone looking for a excellent and reasonably priced painter. Thank you Christine! I am thankful for all the great referrals you're always passing on.